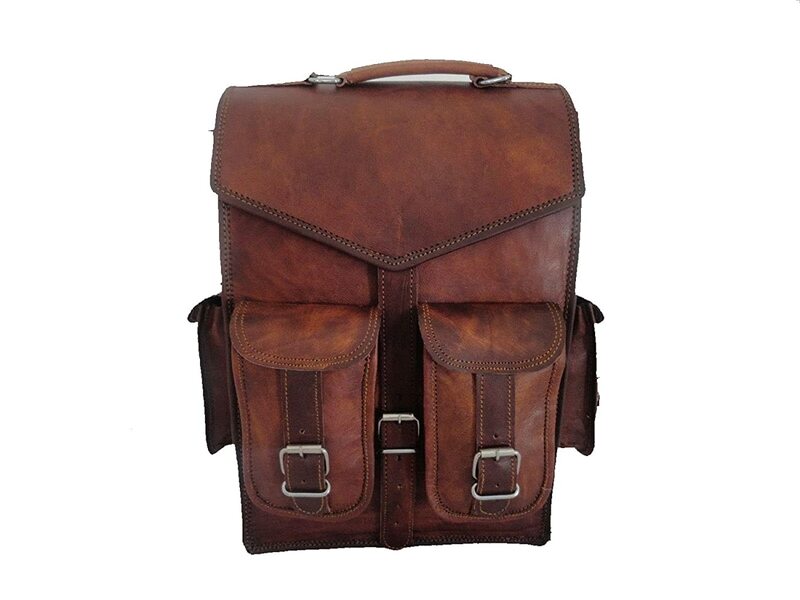 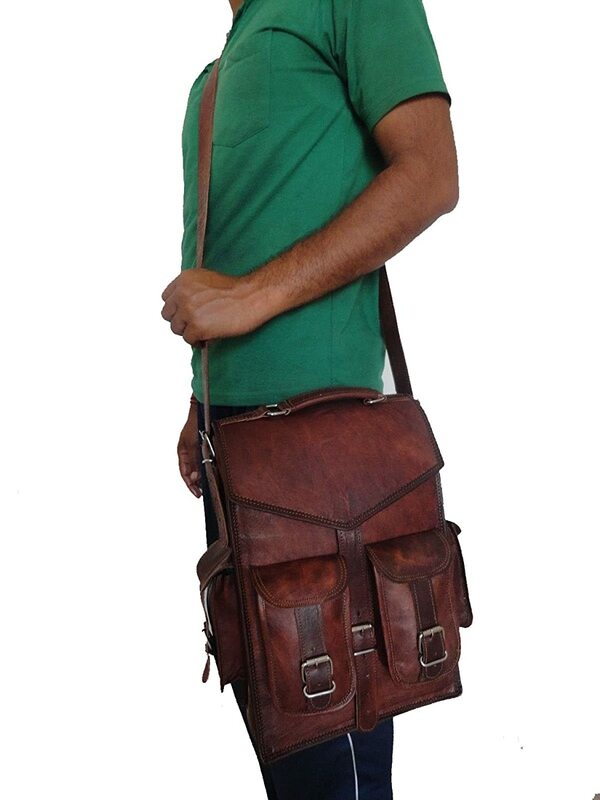 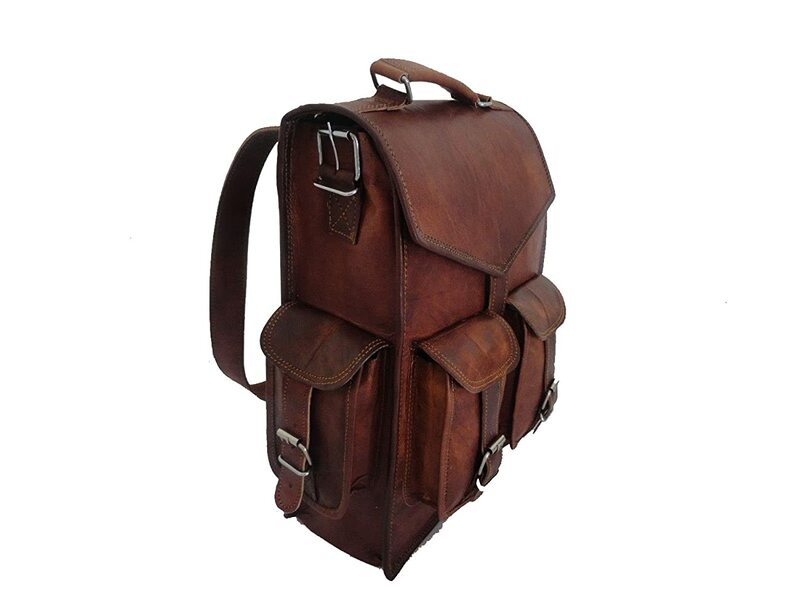 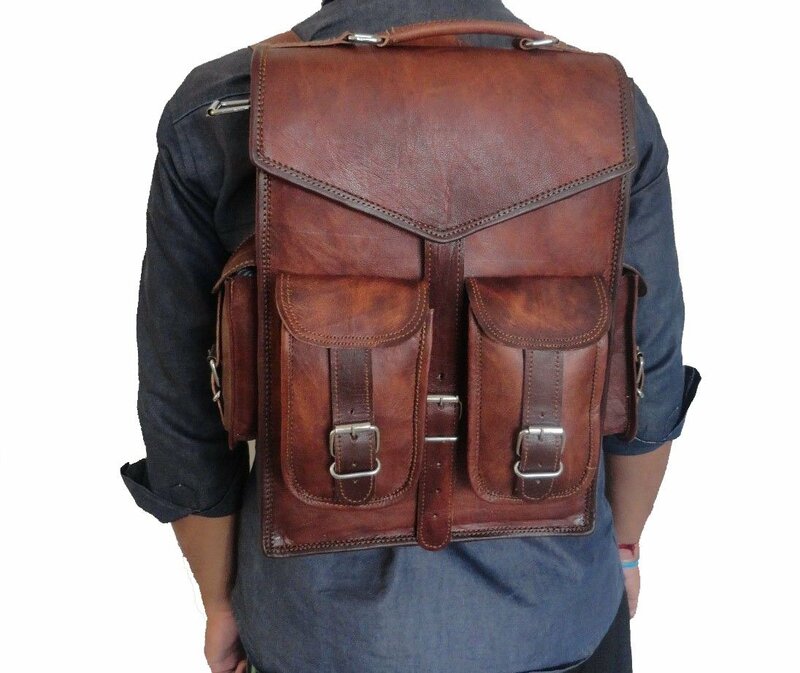 A perfect leather laptop back pack without smell and perfectly made. 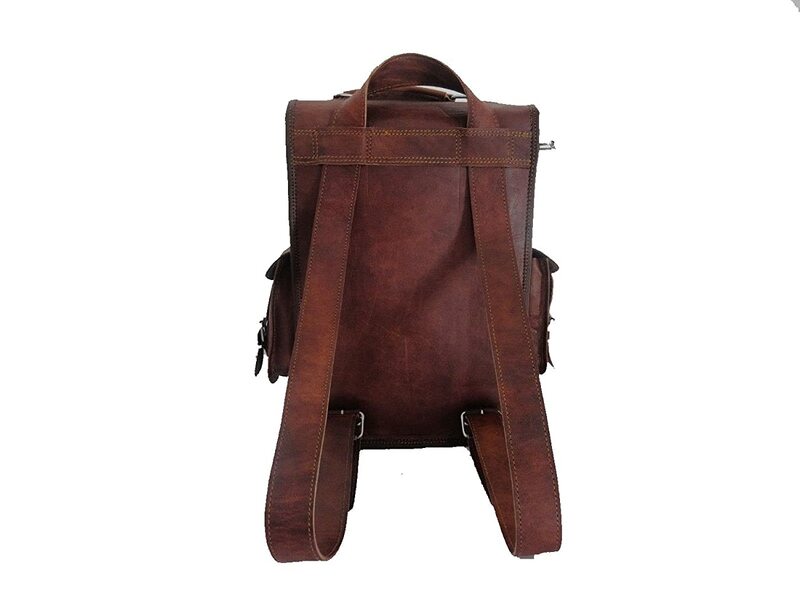 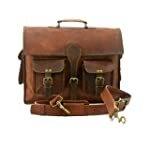 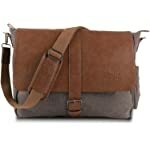 2in1 Bag Convertible backpack / Messenger bag / Briefcase Three partition inside for laptop,files etc. 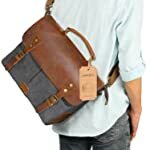 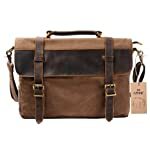 Has four outer small pockets for misc items.Can be used as an office bag, two zippered pockets at outer front and rear inner. 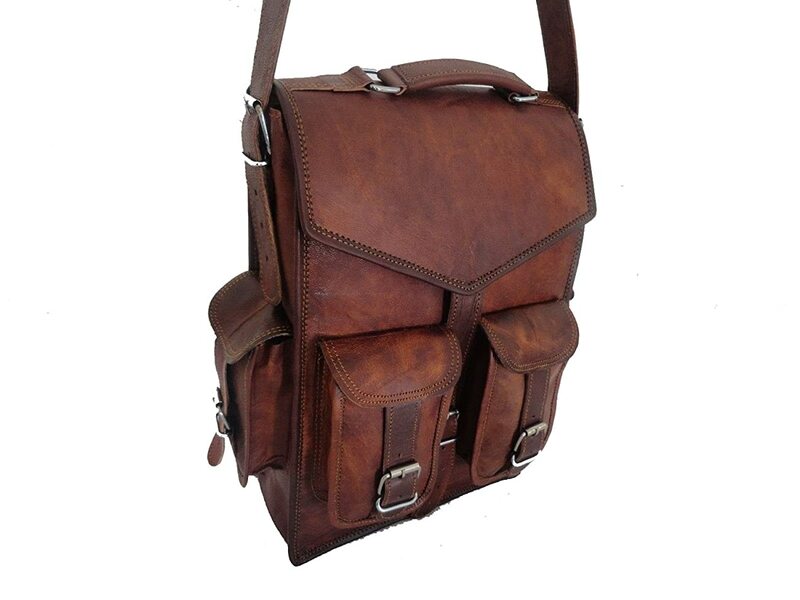 Comes with Steel buckles , 100% rust free. 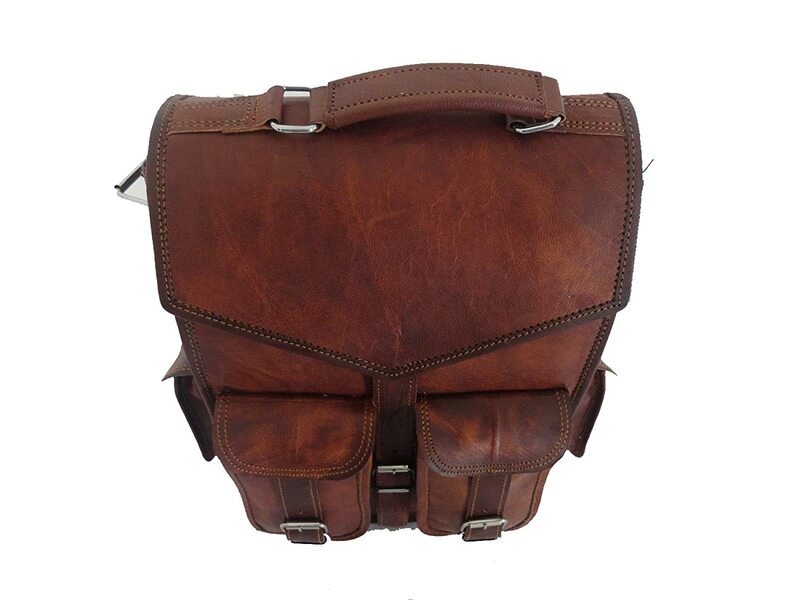 adjustable sling. 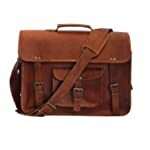 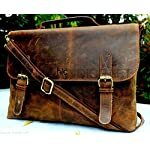 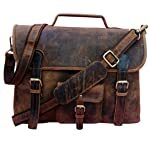 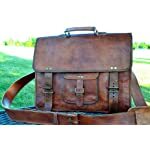 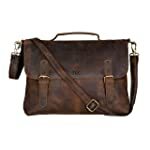 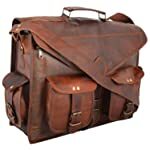 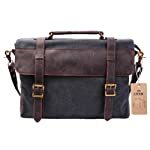 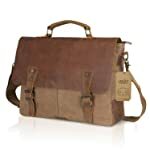 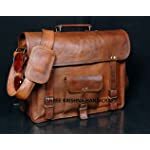 Vertical leather laptop bag Can hold 15" Laptop.